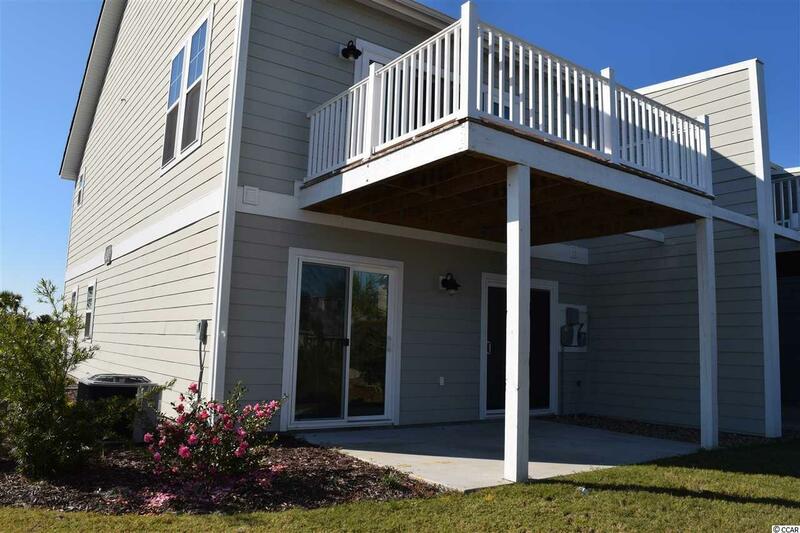 100 Villa Mar Dr. B6, Myrtle Beach, SC 29579 (MLS #1823633) :: Garden City Realty, Inc.
Beautiful one year new 3 bedroom end unit condo (end units have extra windows for more natural light which makes this unit even more desireable and valuable). Just minutes to the beach! 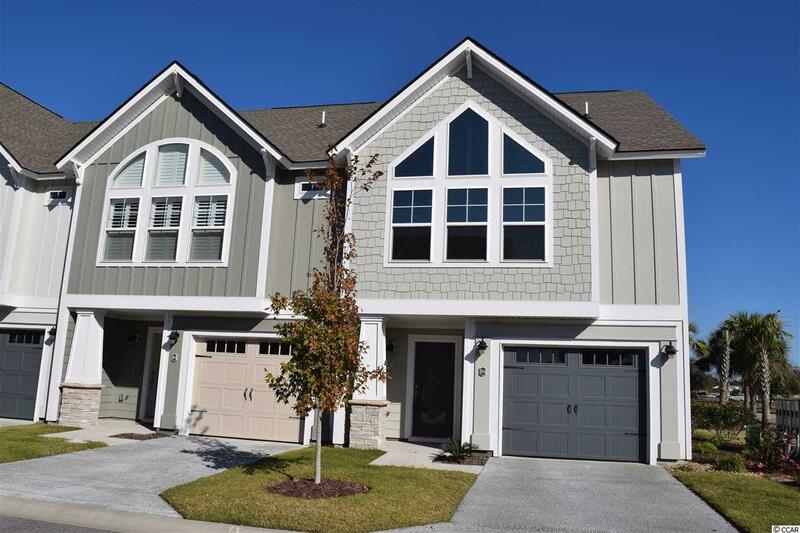 This townhome style condo features an extensive kitchen with upgraded stainless steel appliances, granite counter tops, premium white cabinets, pantry and island-breakfast bar with work space for prepping. The kitchen, dining and living room are open with soaring vaulted ceilings and plenty of space to host friends and family. This is one of the only true end units and boasts extra windows in addition to the four panel patio doors leading to a large upper deck. There is a hallway half bath. Double doors lead to the master suite boasting lavish windows with luxurious plantation shutters and a deluxe over sized ceiling fan in the vaulted ceiling. There are double sinks and granite counters in the ensuite bath with a walk in shower. There is a large walk in closet as well. Downstairs are two bedrooms that have patio doors to the covered porch, a full bath with a large pantry, laundry area, mud room, and access to the extra deep single car garage. The living areas feature premium luxury vinyl wood look plank flooring, carpet in the bedrooms and tile in the bathrooms. Ceiling fans, blinds and M2 or M3 window tinting throughout for extra energy efficiency. 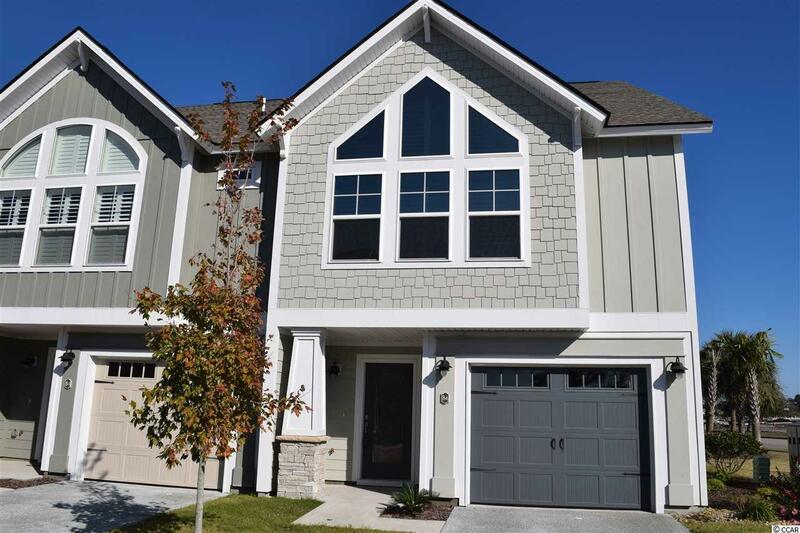 The exterior of the home is fiber cement siding with stone accents. 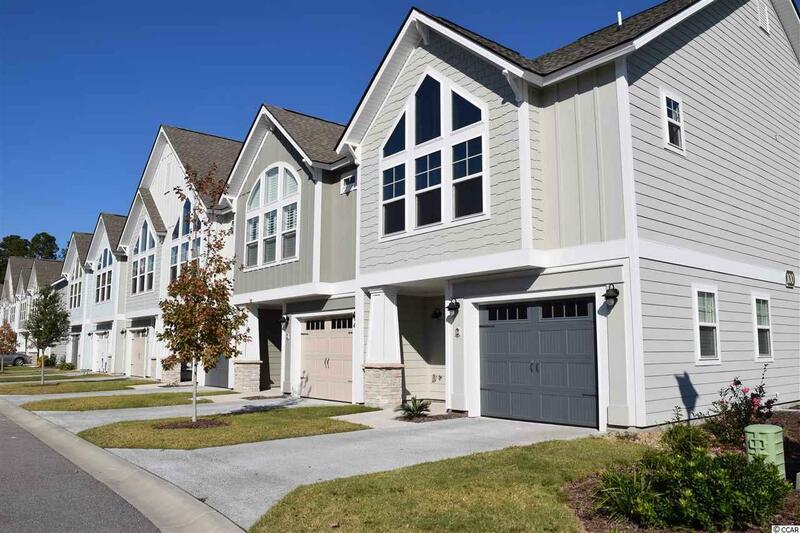 Ocean Bay Townhomes are just a short walk to shopping and dining at the Market Center, a quick five minute drive to the ocean and all the fun of Myrtle Beach proper, minutes to Hwy. 31 and Carolina Forest. The HOA includes fiber internet and cable, lawn maintenance, landscaping, at home trash removal and building insurance. This immaculate property is ready for you to make this your new beach home! !